Further to my post from earlier today, I've just seen a CBC News story on the annoucement of the Arthur Ellis Awards shortlists for 2010. The announcement was made at a series of shortlist events held across Canada in the past few hours. Having felt quite the prognosticator after picking Harry Bosch to win the 'World's Favourite Detective' tournament from early on, I've been brought heavily back down to earth, with neither Linwood Barclay's FEAR THE WORST nor William Deverell's SNOW JOB making the final five for Best Crime Novel this year. 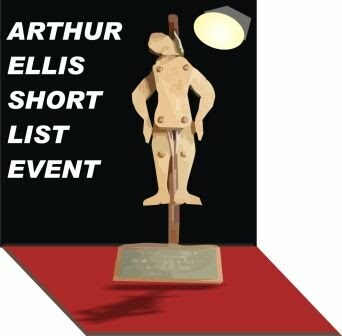 You can read the full CBC News story, including the shortlists for the other Arthur Ellis Award categories, here. Have you read much in the way of Canadian crime? Who is your favourite Canadian crime writer? Have you read any of the shortlisted books? Thoughts and comments welcome. I have not read any of the shortlisted books, nor do I remember reading anything by any of the authors. I have read very few Canadian crime works, but the one author I have read is on my "must read" list--Giles Blunt. I have read all four of his police procedurals and am awaiting the next one, which is due out some time in the Fall, according to the notice on his website. Thanks for posting this, Craig. Speaking as the BCY(Yukon) VP of the Crime Writers of Canada, I think the fact that a whole new crime wave of authors has risen to the top of the ocean is absolutely wonderful. One of our mandates at the CWC is to nourish and promote new talent through our associates program. Absolutely right Lou - I was impressed with the richness of the Canadian crime canon when I visited two years ago - it's just a shame that, like NZ writers, many of the authors and books are hard to find in other countries. You have some great, overlooked, writers over there. We talked about this exact same thing at our panel at Blue Met Lit International Festival in Montreal - more people know US and UK crime writers than we Canadians. We hope to change that! Good heavens - Talk to your bookshops - INT BOOKS have been distributing the Canadian crime for ages, they are great - I especially like the Barbara Fradkin Inspector Green series. I think Terry Gould's "Murder without Borders" is a strong contender but will be beaten out by Alex Caine's "The Fat Mexican"